RA Medications: What are Disease Modifying Antirheumatic Drugs? While there is no known cure for rheumatoid arthritis, there are some highly effective treatment options available to patients today including specific types of medications. Effective rheumatoid arthritis treatment strategies include a variety of these medications. One of the most important forms of medication is called disease-modifying antirheumatic drugs or DMARDs for short. These are drugs that come in many forms and are taken as an aggressive treatment in the early stages of rheumatoid arthritis and throughout the disease’s active states. DMARDs are a form of rheumatoid arthritis medication that slows the disease’s progression by reducing and stopping inflammation caused by autoimmune attacks. The goal of taking DMARDs is to prevent further joint, bone, and cartilage damage from occurring. There are many different types of DMARDs used in treating rheumatoid arthritis. The effectiveness of the different types varies from patient to patient. Some types of medications may work better for certain patients than others. DMARDs work most effectively when they are taken as soon as possible after disease diagnosis. They are also taken during active disease states when inflammation occurs. They can be taken in combination with other medications such as immunotherapy drugs called biologics. Rheumatoid arthritis symptoms are caused by an autoimmune response that attacks the healthy joint tissue and causes inflammation. As a treatment for this autoimmune disorder, DMARDs work by acting on the immune system and modifying it so that it no longer attacks the patient’s body causing unnecessary inflammation. DMARDs modify the patient’s disease progression in a number of different ways, each way uniquely targeting different elements of the immune system. In this sense, these medications alter the underlying disease process as opposed to treating the physical symptoms. When rheumatoid arthritis medications are taken the goal is to decrease the inflammation in the joint tissue which then slows or lessens the inflammatory process which diminishes the damage to joints. Effective treatment with DMARDs can result in diminished symptoms and joint destruction over time. These medications do not work overnight. For certain patients, it may be weeks or months before they take effect. This is normal and patients should continue to take them as prescribed even if there aren’t yet any noticeable effects. While waiting for the medication to take effect, it is common for doctors to prescribe nonsteroidal anti-inflammatory drugs (NSAIDs) to help decrease the inflammation and alleviate pain. Doctors may also prescribe low doses of steroid medications called corticosteroids. Doctors prescribe medications to rheumatoid arthritis patients early on after their diagnosis. These drugs are usually prescribed by doctors as first-line therapy before using other options such as biologics. Early intervention in the disease progression is shown to be most effective in slowing down and managing joint damage. DMARDs are also prescribed to patients in situations where the disease is in an active inflammatory state, known as a flare-up. The goal of therapy during a flare-up is to lessen the body’s inflammatory process as much as possible so as to diminish inflammatory damage to the tissues. Different types of DMARDs work in different ways to slow the progression of rheumatoid arthritis. They all aim to reduce or prevent the inflammation that is caused by autoimmune attacks. This aids in the effort to alleviate symptoms and prevent further damage and to the joints and other vital organs. Today, DMARDs can be categorized into traditional or conventional, and biological response modifiers – or biologics. Learn more about biologics here. Methotrexate is the form of rheumatoid arthritis medication that is most commonly used and it is often used interchangeably with the term DMARD. 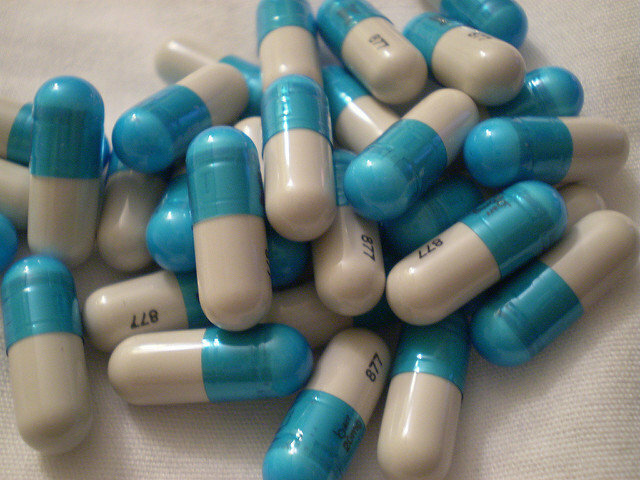 Most types of DMARDs are taken orally in a pill format. Some types are taken more regularly than others. Methotrexate, for example, is usually only taken weekly. Biologics, on the other hand, are usually administered via an injection. There are, however, some newer biologics available in daily pill format. Though DMARDs can be highly effective in most patients, there are some side effects to be aware of. Certain types may cause more severe side effects than others. This is largely due to the varying strengths of each type of medication. Sometimes patients who experience side effects from one type of DMARD switch to a different type that is better suited for them. Because DMARDs act on the patient’s immune system, it can weaken the body’s ability to fight infections. This leaves patients at risk of developing infections. Patients should be on the lookout for signs such as fever, chills, nausea, vomiting, muscle aches, and more. Some patients find that these medications make them feel ill and they cannot tolerate these particular drugs. Some other side effects may include possible liver or kidney damage, especially in patients with a history of these conditions. There is also a concern over the effects these drugs have on pregnancy or on those who want to become pregnant. Always discuss health concerns with your team of healthcare professionals before taking DMARDs. These are highly effective medications designed specifically to suppress the autoimmune attacks in rheumatoid arthritis patients. Combining DMARDs with biologics and other forms of medications and therapies is an important part of developing a well-rounded treatment strategy for rheumatoid arthritis patients.